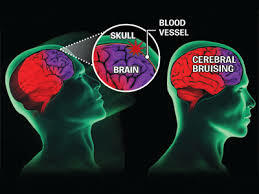 When a person suffers a sudden blow to the head, damage can occur to the brain that results in bruising, shearing and stretching of the neural connections causing what is known as a concussion. Even those with a mild concussion can suffer significant problems which requires rehabilitative care. Since the “neural software” of the visual system is intimately woven throughout most of the human brain, a concussion, even mild, can result in visual problems that can dramatically affect the quality of life of the victim. To help bring about better professional and public awareness for the impact of concussions on the visual system and the lives of those who suffer from these injuries, the VisionHelp Group, composed of leading developmental vision and rehabilitation experts from around the US, discuss the impact of vision problems due to a concussive injury in this brand new video. Share the post "The Impact of Concussion on Vision – new VisionHelp video raising professional and public awareness"